Ben Lautman, Josh Pellerin, John Siuntres et al. In a dynamic hyper-stylized way that has never been seen before. 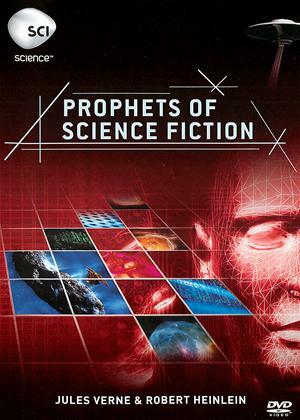 We will take a tour of what was, and what will be through the eyes of the visionary authors, illustrators, filmmakers, and scientists who have become the "Prophets of Science Fiction"! He put a man on the Moon in the Victorian Era. He criticized the Internet... in 1863. Jules Verne is the ultimate futurist, with a legacy of sci-fi stories predicting everything from fuel cell technology to viral advertising. The extraordinary voyages of Jules Verne have inspired art, industry, culture, and technology. Sci-fi legend Robert Heinlein is a walking contradiction. His stories address themes of patriotism, and duty while stressing the importance of personal freedom and expression. His groundbreaking stories like 'Starship Troopers' and 'Stranger in a Strange Land' continue to challenge readers with a steadfast theme: what is freedom?